There isn’t a particular path a comedian takes to find an audience, which gay comic Peter Bisuito, aka “My Big Funny Peter,” knows all too well. 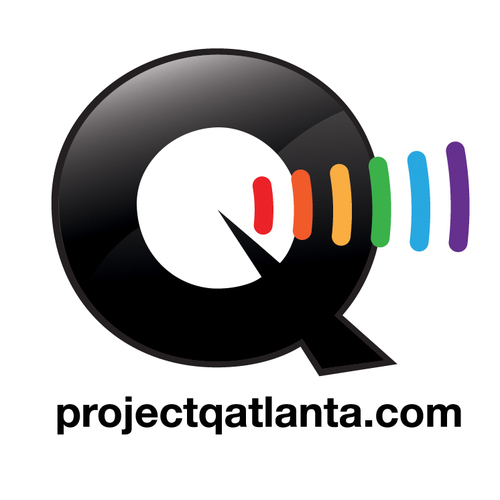 He brings his growing popularity to Atlanta Bear Pride this weekend. In his 40s and only doing stand-up professionally for three years, Bisuito is receiving a lot of attention for his hilarious situational humor and his beefy, hirsute figure. Now it’s time for locals to see what all the fuss is about. The comic’s local debut during Atlanta Bear Pride takes place at Jungle on Saturday as a benefit for Joining Hearts. Before his stop down South, we spoke about getting a start in comedy, his new web series, and why he’s not a fan of labels. Briefly, describe your particular brand of comedy. How did you get your start as a comedian? I’ve been performing for 25 years, but it was mostly theater. I was a big theater buff for 25 years, but it was always part-time. I never did it professionally. I never did it as a career. But three years ago, I had an opportunity to try stand-up comedy for the first time in my life, and I performed it, and I got a standing ovation. There were something like 250 people in the audience, and I got this standing ovation, and I said, “Wow, this is really where I need to be.” So a year later, I made the very difficult decision to quit my job and give up my income entirely to pursue stand-up comedy full-time. Wow. That’s a big jump. Yeah, especially when you’re in your 40s. I’m not 23 anymore. In order to pursue comedy, I literally had to quit my job and give up my income. I’m on food stamps now. But I’ll tell you something: I’ve never been more broke in my life, but I’ve never been happier, because I’m finally doing everything I wanted to do, ever since I was a little boy. The saying’s true: it’s never too late. Aside from the obvious connection to your name, what led you to title your website and live shows ‘My Big Funny Peter’? People like the double entendre. They think it’s very funny. And it’s simple: I’m big, I’m funny, and my name is Peter. It just popped in my head: “My Big Funny Peter.” So it just kind of stuck with me. And when I named my first show “My Big Funny Peter,” I got such a great reaction from people. They were like, “Peter, that’s so funny!” I’ve had people break out laughing when they hear either my website or the name of my show. You have a new webseries called ‘Exposing Peter.’ What’s it about? When I decided to create this web series, I didn’t want a set cast of characters. I didn’t want the same characters in every episode, because it’s a very low-budget show, and I live in Buffalo. There’s not a lot of talent in Buffalo, as far as that’s concerned, and I didn’t want to rely on the same cast of characters for fear that someone might move away or get sick, or whatever. So I thought, “Let me do something different every episode.” There’s a little bit of everything. There will be some reality moments, some scripted moments, some sketch comedy, and some cooking segments. There’ll be funny workout segments, talk show segments, travel segments. There might be some parodies, commercial spoofs – all that. There’s a little bit of everything, and you won’t know at all what the next episode is going to bring. And how frequently will you be releasing episodes? I’m going to be releasing a new episode on the last Sunday of every month. It’s going to be a monthly thing. I wish I had the time to do a weekly show, but I just don’t, so I’ve decided to do it once a month. And who knows? I guess it all depends on supply and demand. If I’m getting hundreds of thousands of hits, I might switch it to a weekly thing. I’m nowhere near that popular to get that number of hits, but that’s what I’m working toward. So we heard you were on ‘Oprah.’ How’d that happen? What happened was, she was holding a contest about five years ago. She was looking for America’s next talk show host, and the winner of the contest, she actually gave them a show on her new network. I submitted an audition video, I sent it in, and out of 25,000 submissions, I made the Top 20. The Oprah producers called and interviewed me over the phone. I did not make the Top 10, unfortunately, so I didn’t get to actually go on her show, but they aired several clips of my audition video on her show, on December 30, 2010. So technically speaking, I’ve been seen on ‘Oprah.’ My comedy has been seen on ‘Oprah.’ They were funny clips, and they got the audience laughing. Now you’re trying to get on ‘Ellen’? Well, it’s a long shot, because everyone in the world is trying to get on ‘Ellen.’ I haven’t really been concentrating on the campaign that much, to be honest, because I’m kind of a one-man band. I’m my own agent, marketer, publicist. I design all my own posters and produce all my own videos. I book all my own shows, not to mention writing and memorizing my own material. So what I do is definitely a full-time job, plus overtime. So I haven’t had a lot of time to concentrate on the campaign. If you go to my website, there’s instructions on how you can help me, where you can actually email or Tweet Ellen on my behalf. If anything comes of it, great. If not, then hopefully some time in the future. Which comedians influence you and make you laugh? My all-time favorite comedienne, who I draw the most inspiration from, is Kathleen Madigan. She’s been around forever. She’s amazingly funny, but not too many people know who she is. She hasn’t really made the “big time,” which I don’t understand, because I think the woman is brilliant. But I also love Kathy Griffin. I think Kathy Griffin is an amazing comedienne. I love her style of humor. I love Ellen DeGeneres. I love George Carlin – he’s my hero. And I really liked Bill Cosby back in the ‘80s. You’re performing during Bear Pride. How do you identify yourself? I identify myself as Peter Bisuito. I think the gay community is who identifies me as the “muscle bear.” I just don’t like to put a label on myself. I don’t like to put a label on myself, because who knows? The label might change, you know. But on my posters and some of my promotional materials, I will refer to myself as “muscle bear comedian Peter Bisuito,” because that’s what the community has labeled for me. What can the audience at Bear Invasion expect from you? Is this your first time performing in Atlanta? This is my first time not only performing in Atlanta, but this is my first time going to Atlanta. I’ve never been to Atlanta before. We’re arriving Thursday night, and leaving first thing Monday morning, so we’ll be in town a good three full days. Aside from performing, what are you looking forward to doing here in Atlanta? Since it’s Bear Pride Weekend, we – and when I say we, I’m bringing my husband with me – we’re going to be participating a lot in the Bear Pride festivities. That’s going to be fun. And we have some friends who are in the Atlanta area, and I’m hoping they’ll take us around and show us all the great things about Atlanta. I just don’t know what to expect, to tell you the truth. Anything else you’dlike to add before your big Southern debut? Although I’ve been performing for 25 years, stand-up comedy is still a new venture for me. I’ve only been doing it professionally for a little over two years. So I’m probably the most appreciative person you will ever meet in your entire life. Anybody who comes to my show, I just want them to know I thank them from the bottom of my heart. I’m really very grateful when people spend money to come and hear me tell jokes for an hour and 15 minutes. So anybody who comes to my show, I just want them to know I thank them very much. My Big Funny Peter performs April 25 at Jungle, 8 p.m. Proceeds from the door benefit Joining Hearts.